Sooner or later every Christian parent will become discouraged (or just plain baffled) and wonder how to raise their kids in a way that honors the Lord. 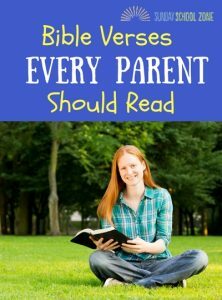 Godly parenting is not easy and teaching kids the Bible in today’s world is a huge challenge. We thought it might be helpful to provide some words of encouragement from the Lord Himself regarding the all-important parenting task. As a child I didn’t understand that the quiver was actually a reference to a bag that contains arrows. Being one of seven children, I just thought the reference had to do with a house full of kids with one working bathroom. I can testify that our home was most definitely “full.” Although my family’s “quiver” is not quite as full as my parents’, I certainly understand one message of these verses is to count my children as blessings. As parents, we are encouraged to instruct and teach our kids the basics. This begins with a personal commitment to teach kids the Bible and set an example for how to live according to God’s Word. It’s hard to overstate the responsibility this places on the Christian parent. It calls for us to be thoughtful, creative, and deliberate. When you look at some of the biblical mandates given to God’s people, we see that we are to be intentional when it comes to teaching our children. It’s not an easy task. We have to work at it, but God expects us to take the job seriously and the pay off in the lives of our children will be well worth the effort. Although Scripture reading and memorization is important, the Moses isn’t instructing us simply to quote Scripture all day and all night. We are, however, to take seriously the task of instilling the Word of God into our lives and the lives of our children. This certainly means we are to be examples of the Bible’s teachings. In short, our children should see Jesus IN us and not just hear Bible verses FROM us. What are your words and actions teaching? Your example carries more weight than any lecture you could possibly give. Live a way in which you want your children to live. Can you imagine what it must have been like to be that little boy? How would it have felt to have the strong, loving arms of Jesus wrapped around you as He spoke to His disciples? That child may not have realized until he was older just how significant that moment was, but the same is true for kids we love. How many of the kids we teach or parent need to feel our arms around them in a simple show of affection? Many of them may never see the significance of the act, but the simple, pure love of an adult in the life of a child can be a powerful thing. When my oldest was about 10, we took him to a Mark Lowery concert. Years later, my son and I still laugh when we remember how Mark explained the way this verser was lived out in his home. Although we laugh now and even jokingly refer to it as my oldest son’s favorite verse, however you look at it, discipline is not fun. I don’t enjoy disciplining my children and I certainly don’t enjoy being disciplined myself. Discipline, however, is necessary to develop Godly character. You can see a list of all of Kim’s blog posts here.